Man, I used to be such a gamer. Me and my Atari 2600, then the Nintendo... you kids today have no idea what it was like. You have these epic games with incredible graphics and no wires on your controllers. And now you have Target's biggest gaming event of the season just a click away. 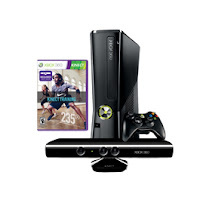 Grab a PlayStation 3, an X-Box 360 (with Kinect). a Wii, or handheld one. There's discounts on everything else too. Games for every system are discounted, as well as controllers. I had a buddy who honestly owned four PS2 controllers because when he lost to me at Madden he would throw them or stomp on them. Got to have backups! Click here to view the video game event at Target. Spend $50 and get those items shipped for FREE.